No one really needs another reason to love darkchocolate, but here’s one anyway. Aside from being good for the health and utterly delicious, dark chocolate is also great as a beauty booster! Haven’t you ever wondered why there are spas that offer chocolate treatments, and wanted one just to indulge yourself? Well, now you can, without having to drop mega bucks in a spa. 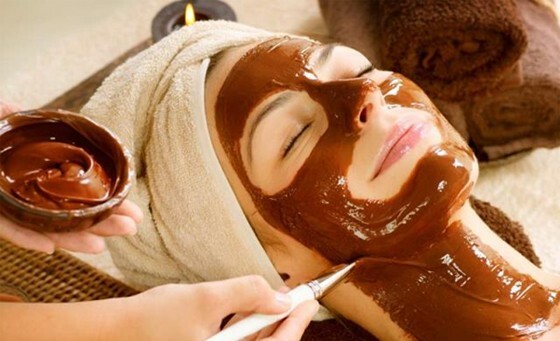 You can make your own dark chocolate beauty treatments as home, and end up with smooth, soft, and practically glowing skin! The best part is, your whole house is gonna smell like dark chocolate once you’re done! - Mix all ingredients into a smooth, creamy paste. - Massage into face in a gentle, circular motion. - Leave on 15 minutes and rinse thoroughly with warm water. - Massage gently into skin to slough off dead skin cells paying close attention to knees, heels and elbows.